In the Western Ghats, 114 kms away from Mumbai lay the Buddhist Karla Caves. These 2000 years old caves have a large collection of Chaityas /halls. The work in these caves is comparable to the works that are found in the more famed caves of Ajanta and Ellora and are considerably less crowded than them, thus offering the visitor that much better an outing. The beautifully carved Chaityas and Viharas take you on a journey back in time, narrating stories of the past. The Karla caves probably have the largest collection of Chaityas amongst the many caves that were built all across the country during that era. 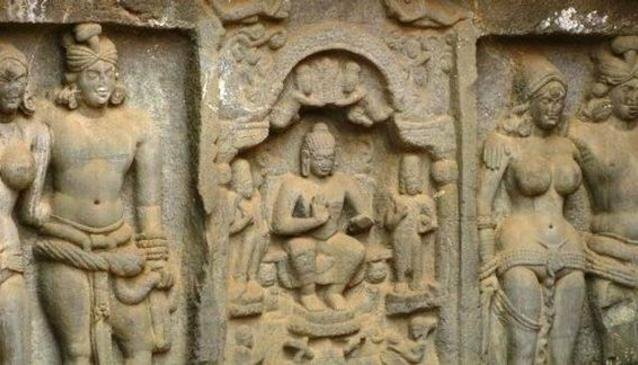 Built during the Satavahanas rule, the effect of the Hinayana sect of Buddhism is clearly visible in the Karla caves, as nowhere in the caves is the Buddha actually shown. A steep 350-step climb leads to the caves and Outer and inner screens culminate into the main cave. You can find exquisite carvings of couple in embracement in the panels of the wooden doors and windows that adorn the caves.